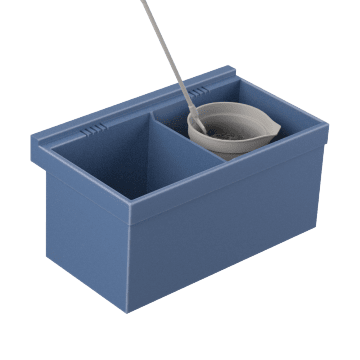 Rugged laundry and utility sinks have deep bowls for tackling large or messy washing tasks. 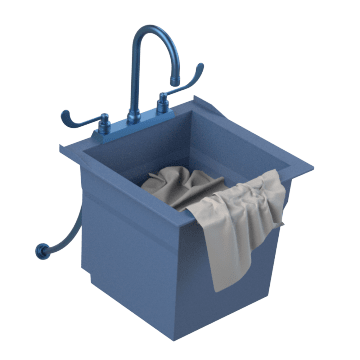 Wash laundry, fabrics, and more in these large laundry sinks. They can also be installed next to washing machines so that the machine can drain into the tub. 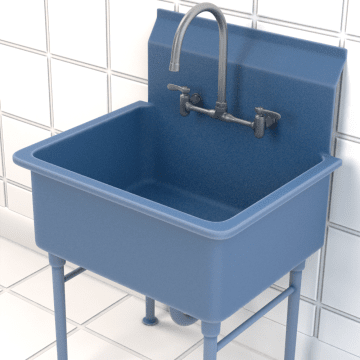 Scrub large or very dirty items in these freestanding utility sinks, which are ideal for garages, mop rooms, industrial facilities, and similar areas.